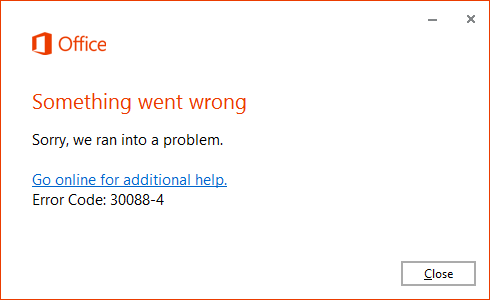 This error code is because of unsuccessful installation of Microsoft Outlook 2013 or Office365. 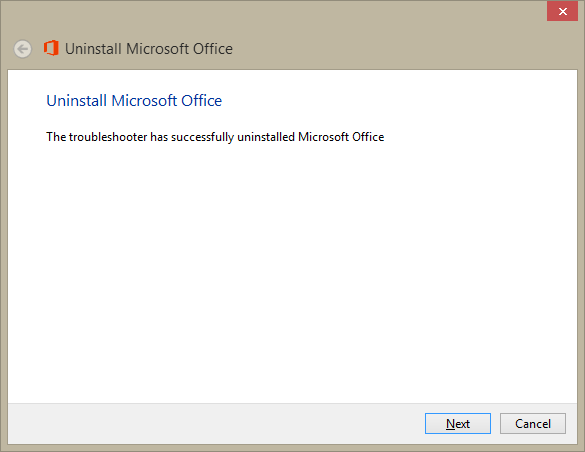 The error can be easily resolved by Uninstalling and then reinstalling the Outlook application. Follow the below mentioned method for the complete troubleshooting process. 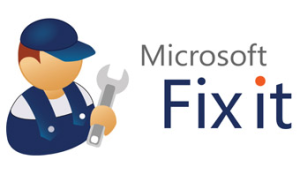 Open the application and Select the “Apply this fix” method. 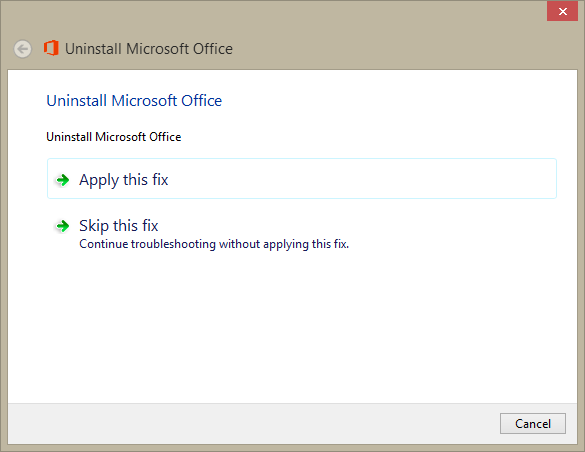 Once you click the software will uninstall the Outlook application. Wait for the uninstallation process to get completed which generally takes couple of minutes to get completed. 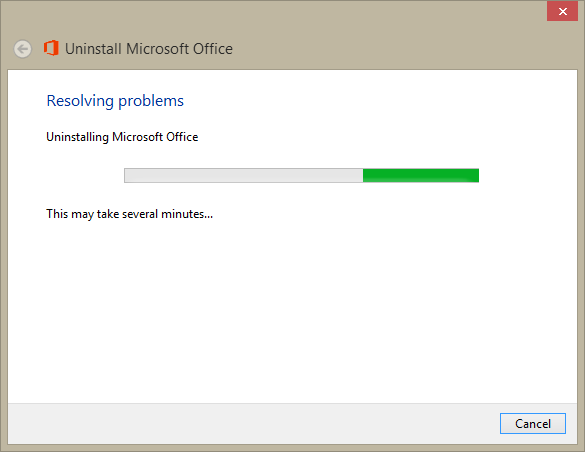 The software will greet you with a success message once the uninstalling process gets completed. 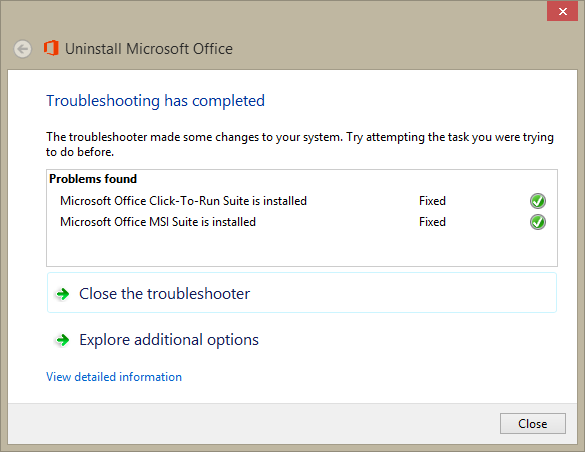 The troubleshooter has removed the potentional issues that was causing the Outlook to show the Error Code 30088-4 & Error Code 30089-4. 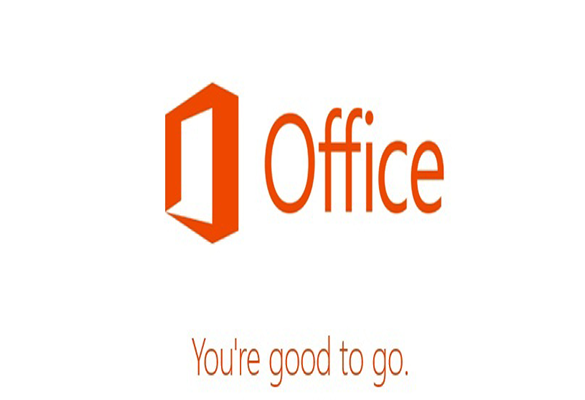 Now you can install and use Outlook 2013 application hassle free.